For nearly two decades, people have discussed in online and real-life settings the nature of search engine optimization. As time has passed, the nature of SEO has continued to change, requiring new and more extensive strategies in order to continue delivering results. 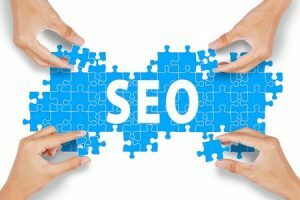 Many online business owners and bloggers are aware of the term SEO, but may not have a solid grasp of what it entails. Understanding what the purpose of SEO is – both from the perspective of the website owner and from search engines/users – is crucial in unlocking its potential. Too many only focus on what it can do for them, rather than understanding its transactional value. Today, let’s look at the primary components of SEO and what it truly involves when pursuing a successful campaign. Even though it’s in the name, all too many people forget that SEO isn’t about them or their brands. Ultimately, the process revolves around making search engines and their algorithms happy with your content. Google, Bing and other search engines aim to in turn make their users happy; the best way to do this is to deliver content that is relevant to their queries. By pinging to Google, Bing and other search engines content that is optimized for their tastes, brands automatically improve performance. There are countless recommendations and pieces of advice available online that guide brands on how to do this, but ultimately, it’s important to remember that SEO revolves around search engines being happy with your online presence. Those who use search engines expect that the content they find will be relevant to their needs. In the distant past, blatant manipulation of search engine results was possible via link building, keyword stuffing and other black hat tactics. Gone are those days, as brands will pay the price if they attempt to do so. Brands that understand the needs and desires of their targeted audience can implement incredibly effective SEO campaigns. By knowing exactly what users expect in any given SERP or niche, targeting readers effectively becomes increasingly easy. When brands attempt to rank for keywords without providing on-point content that is directly related to the queries, they will not likely enjoy the true benefits that come with SEO (additional traffic and engagement). Many forget that search engine optimization isn’t a one-time effort or a quick solution to problems: it is a long-term effort that requires strategy. In order to experience true benefit and gains, there must be an effective effort focused over long periods of time. Rarely can a brand scale to the highest peaks of success in search engine results pages without putting months or even years of work into the process. This point of frustration causes many to walk away from the process, but the rewards are too numerous to abandon. As such, developing a long term strategy for pinging to Google your very best content, pages and media is crucial when embarking on any SEO adventure. By knowing just what SEO is really about, brands can prepare themselves for long term efforts. Understanding that it is a process through which search engines can satisfy users – as opposed to a guarantee for brands to be seen – helps keep things in perspective and can keep expectations both realistic and grounded in the pursuit of better outcomes. Which WordPress Plugins Are Best for SEO? Is Workplace Stress Killing You?